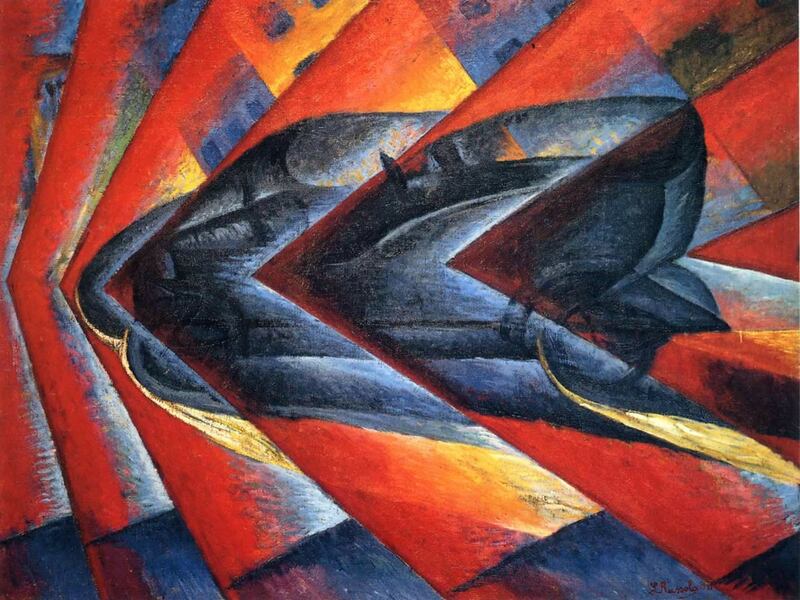 1912 painting by fantastic Futurist painter Luigi Rossolo entitled “Dinamismo di un’Automobile”. Futurist paintings are often just stunning, and this one is no exception! 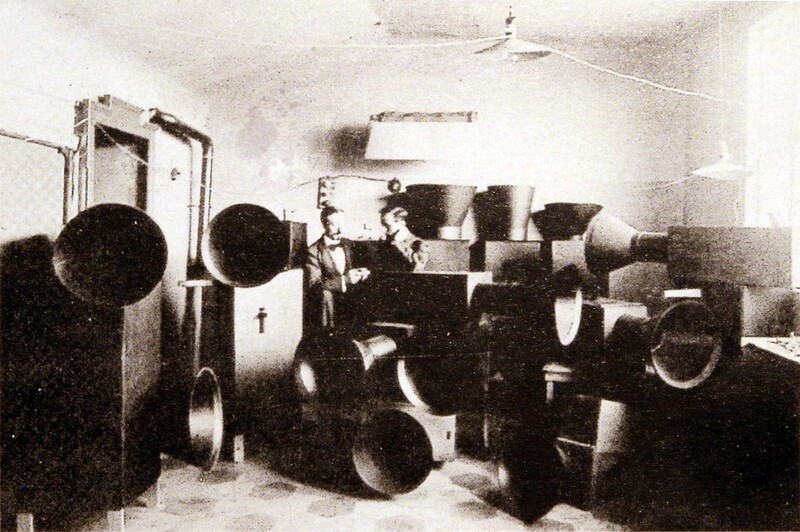 Russolo was also famous for introducing sound experimentation into the Futurist art movement—-actually performing concerts in 1914 using boxes and sound sources—leading to arguably the first experimental ‘noise’ concert. Apparently their Milan show ended in fighting and a bit of a riot. World’s first punk show? Sounds like it.